Stuck in a rut? We’d love for you to visit and solve your problems. What is ‘Mentoring Office Hours’? 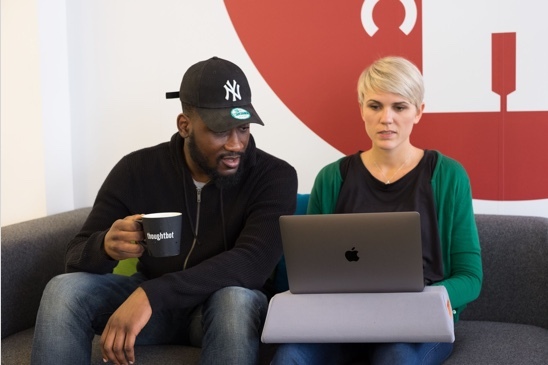 A free drop-in session where our experienced designers and developers here at thoughtbot devote their time towards answering your burning questions. How can I make this code work? How can I improve this code? How can I improve this interface? How can I make my app easier to use? How do I use this library? Can you explain this programming concept that I'm having trouble understanding? How can I get an Internet domain? How do I use it with my website? I have an idea for a project. How should I approach it? I have a design for an app. Can you give me some feedback on it? How can I prepare for my next interview? I would like to change gears within tech. How should I go about it? My career feels stuck in a rut. Can you give me some direction? Where and when is this program? This program is held in our office in London every Friday. Pick a time, briefly explain your problem and we'll be in touch.